No matter if yours are naturally wild or have been victims of over-plucking, perfectly shaped and groomed eyebrows are possible to achieve. So, if you’re struggling to keep your brows neat or can’t quite nail that perfect arch, it may be time to seek assistance. By learning the correct methods and techniques for shaping your eyebrows, you’ll be able to create the most flattering appearance for your face. So, before you go pulling out the tweezers and start attacking every little hair, take the time to brush up your skills and perfect your technique with this handy guide. From finding the perfect shape for your face to identifying the best tools for the job, we can show you how to shape eyebrows like a pro. 2 What Eyebrow Shape Should I Have? Before you can even start thinking about removing unwanted eyebrow hairs, you need to decide upon the shape that you want your eyebrows to be. Having a clear vision of the final form of your brows before beginning will help you to create the best results. 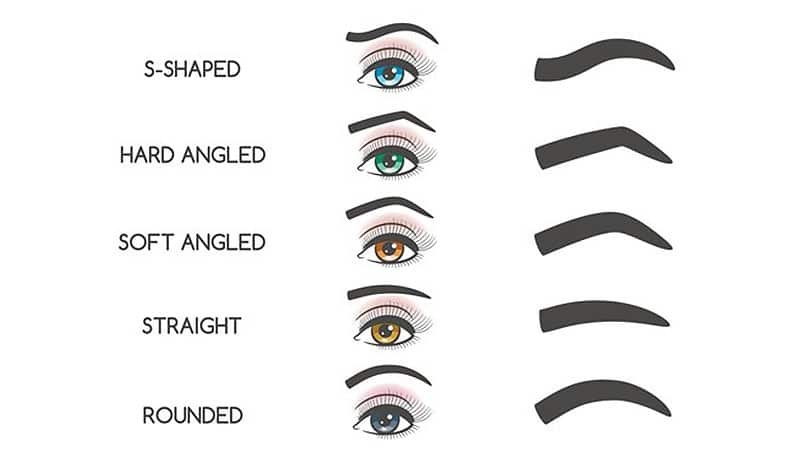 While everyone’s eyebrows are slightly different, most fall into one of six main categories. They can either be S-shaped, hard-angled, soft-angled, straight or rounded. In general, the most flattering shape for you will be the one that most closely resembles the natural contours of your brows. However, there are other factors to take into consideration, such as your face type. What Eyebrow Shape Should I Have? While it’s always ideal to work with the natural shape of your eyebrows, to achieve the most flattering appearance, you also need to consider your face type. 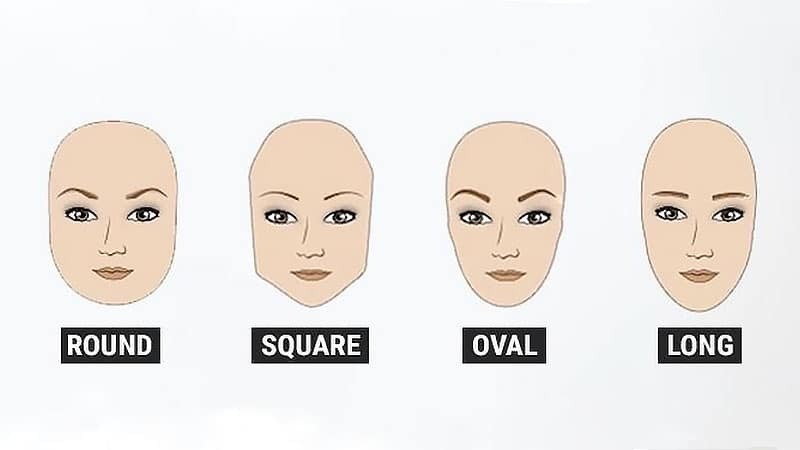 For example, if you have an oval face, most eyebrow shapes will suit you. However, it’s best to avoid those that are overly arched or overly straight. If you have a square face, try to balance your look by ensuring that your brows appear soft with a smooth arch. For those with a round face, making sure that your eyebrows aren’t too thin or too thick is essential. Also, ensure that the beginning and tail of your brows are in line with an arch in between for the best look. If your face is long, on the other hand, aim for slightly thick eyebrows that aren’t too long or arched. If you have naturally thick eyebrows, it can be both a blessing and a curse. Although it may take a bit of work to shape your brows and keep them looking neat, you will have a naturally full and thick appearance. If your brows are messy and have an undefined shape, start grooming them by marking out and removing hairs where your eyebrow begins. Then, tidy up the excess strands across the top of your brow, ensuring that your arch is in the correct place. Next, remove extra hairs under the arch. Repeat this process on the other eyebrow, working to make them even and matching. Finally, trim any strands that are longer than the rest to achieve a neatly groomed appearance. If you have naturally thin eyebrows or have over-plucked in the past, it can be tricky but not impossible to achieve beautiful and full looking brows. 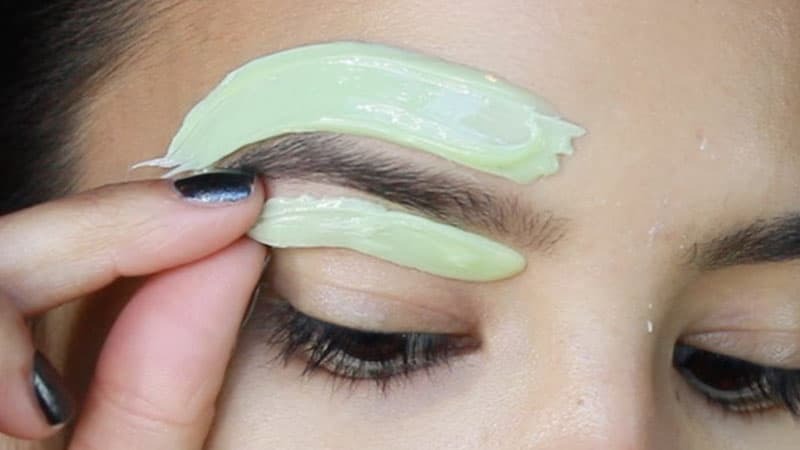 While it may be tempting just to leave your thin eyebrows ungroomed to make the most of every strand, this will only lead to a messy appearance. Instead, carefully groom and fill in your brows for a lovely look. 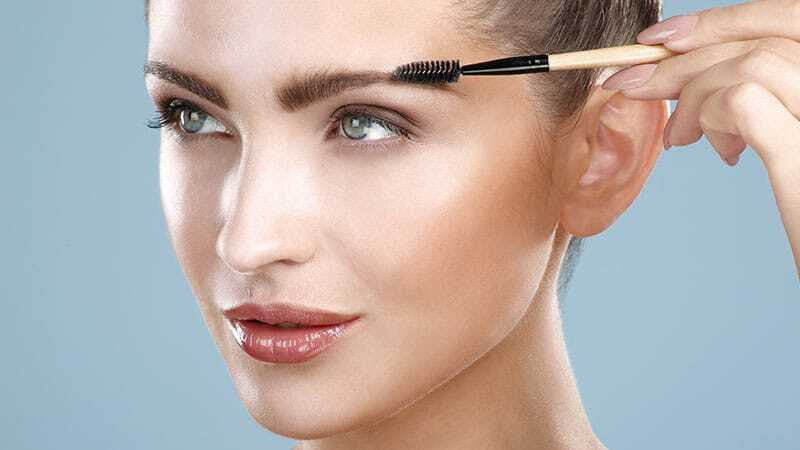 To start, apply some eyebrow gel to lay your hairs flat and make shaping easier. 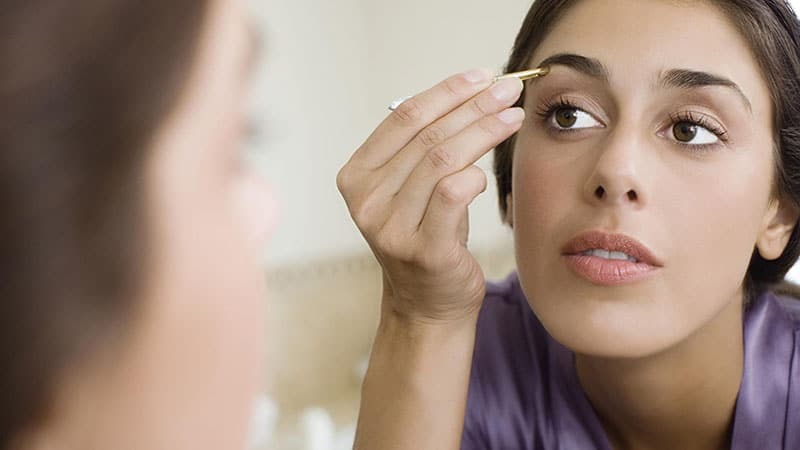 Next, use tweezers to tidy up stray strands below your brow and carefully trim any long strands. If you need to tidy the top of your eyebrow, very carefully use an eyebrow razor to do so. Finally, fill in your brows using a pencil to make them appear thicker and fuller. When it comes to hair removal, waxing has long been a favoured technique. The method, which pulls out multiple hairs at a time, can provide a clean, neatly defined shape and long-lasting results. It is especially ideal for anyone who has naturally thick brows and needs to remove numerous stray strands. However, when you’re working with such a small area, such as your eyebrows, it can be easy to make mistakes with wax. As such, you may want to practise with your at-home wax kit before actually attempting this method of hair removal. Alternatively, you can just leave it to the professionals and be confident that your brows are in experienced hands. 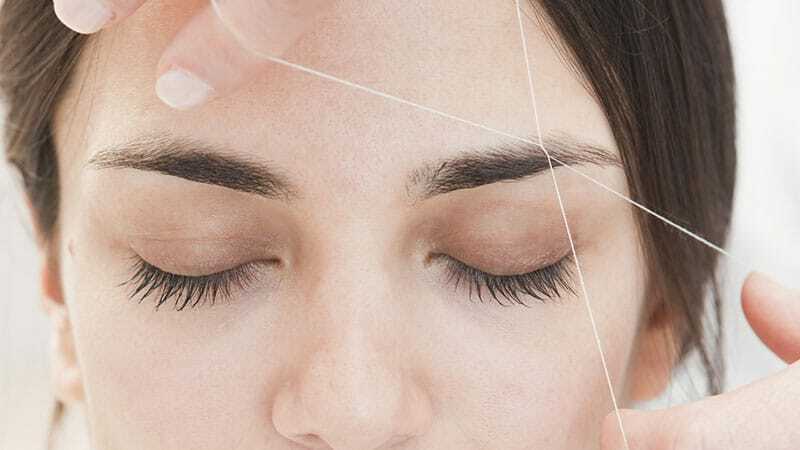 Although many ladies often feel intimidated by the thought of threading, it is a surprisingly simple way to remove unwanted hair from around your brows and other sensitive areas. Eyebrow threading, which uses small, twisted cotton threads to catch and pull out strands in a smooth, straight line, is more precise than waxing and usually less painful. It’s also faster than both waxing and plucking and costs less than at-home wax kits. However, if it is your first time threading your brows, be sure to take things slow. While the process is relatively simple, getting your hand movements right and targeting the right hairs can take time to master. While most of us have had experience with tweezers, we can still find it challenging to pluck our eyebrows into the perfect shape. After all, tweezing your brows into a beautifully curved arch is so much more difficult than just pulling out stray hairs. To master the skill of shaping your eyebrows with a pair of tweezers, you need to follow a process. First, you need to find your ideal shape and fill in your brows for a clear outline. Then, tweeze any hairs outside of your desired shape from the root to avoid breakage. But, be sure to go slowly and be careful not to over-pluck. As this method can be time-consuming and uncomfortable, it is ideal for ladies who only need to remove minimal hair and value an exact finish. To get the best results when shaping your eyebrows, you need to have the right tools for the job. Firstly, a high-quality pair of slanted tweezers will be invaluable when you need to target small and stubborn strands. A spoolie or eyebrow comb will also help you groom your brows to precisely see what needs to be removed. Eyebrow scissors will allow you to trim any long strands while an eyebrow razor will quickly remove excess fuzz. For those who aren’t yet confident in their shaping abilities, eyebrow stencils can help ensure that you get things right. Don’t forget about makeup, either. Filling in your brows when shaping them will leave you with a beautiful and full appearance. Follow the natural contours of your brows. Select a shape that suits your face type. Tailor your shaping technique to suit whether your brows are thick or thin. Invest in useful tools, including slanted tweezers, a spoolie, and eyebrow scissors. Pluck your eyebrows with tweezers for precision shaping or thread your brows for quick hair removal with defined results. Use wax if you have naturally thick brows and need to remove numerous stray strands.